Ford of Britain (officially Ford Motor Company Limited) is a British wholly owned subsidiary of Ford of Europe, itself a subsidiary of Ford Motor Company. Its business started in 1909 and has its registered office in Brentwood, Essex. It adopted the name of Ford of Britain in 1960. Ford of Britain operates three major manufacturing sites in the UK, in Bridgend (petrol engine production), Dagenham (diesel engine production) and Halewood (transmissions). It also operates a large research and development facility in Dunton, Essex, which employs over 3,000 engineers. 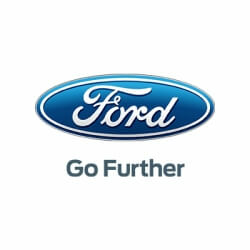 Ford has been the UK's biggest-selling car and commercial vehicle brand for 34 and 45 consecutive years respectively.